Every spring western tanagers arrive in a migration wave that originates in Central America. But the birds don’t stay with us for very long. Low elevations in Utah represent stopover sites not destinations. The birds are headed for their breeding habitat which is open forests of Douglas fir, spruce and pine to our north and at higher elevations. Migrating at night, the tanagers appear as if by magic one morning, They refuel a bit and then they are off again without much fanfare. Some years I don’t even notice them coming through at all. But this year, the tanagers aren’t leaving. In fact they seem to be multiplying! So what’s going on? 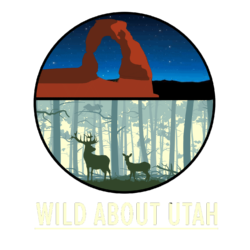 I spoke with Frank Howe, an avian ecology specialist with the Utah Division of Wildlife Resources. He says the reason we have so many tanagers is the wacky spring weather. 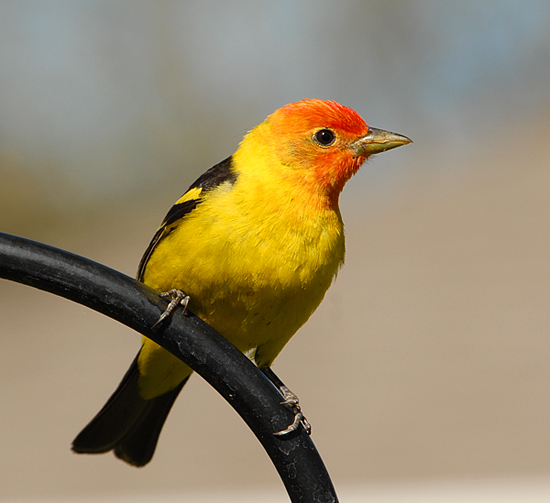 The western tanager breeding grounds are still too wintery for these tropical migrants. Therefore, the tanagers are just waiting it out, refueling on high energy insects in Cache Valley as well as other locations along the Wasatch Front. Meanwhile, new birds keep arriving so the tanagers just keep stacking up. Just imagine an airport where flights can arrive, but none can take off. Very territorial during the breeding season, the western tanager seems quite relaxed and even social during its delay. Which is more than you can say for most human travelers with an unexpected layover. This week, I’ve seen 3 affable males perched close on a suet feeder hanging in our yard. So let’s assume a prolonged warm spell does finally arrive. 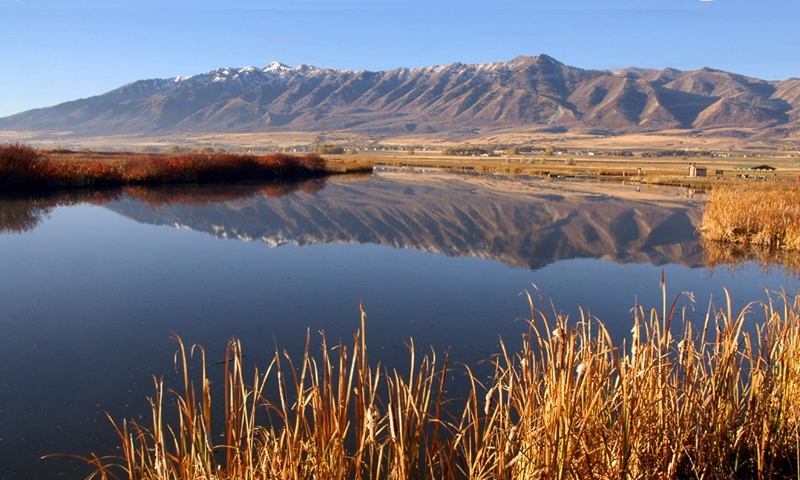 ( I know this is a stretch of the imagination for many of us in Northern Utah). But it will happen. And then one bright morning we’ll wake up to find our colorful visitors gone without a trace –having left in the night for their true destination. Thanks to the Marie Eccles Caine Foundation –the Russell Family for supporting Stokes Nature Center programs.